Cedar shingles are becoming more and more popular since a few years in he province of Quebec. We use this nice and very durable material to cover the roofs and even sometimes the exterior walls of houses and cottages. This reliable coating is particularly sought-after for inclined roofs. You can choose to varnish it so it keeps its natural color, but you can also dye or paint it. It’s good to know that shingles which are not painted will become gray after a prolonged exposure to the sun and weathering. Contrary to the other types of wood, cedar resist to humidity, meaning it does not rot. 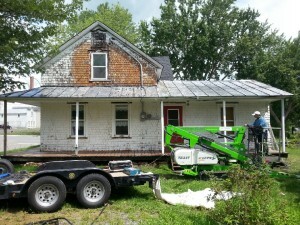 Therefore, it is absolutely suitable for Montreal’s wet climate: cedar roofs last around 50 years here… when it is taken care of! 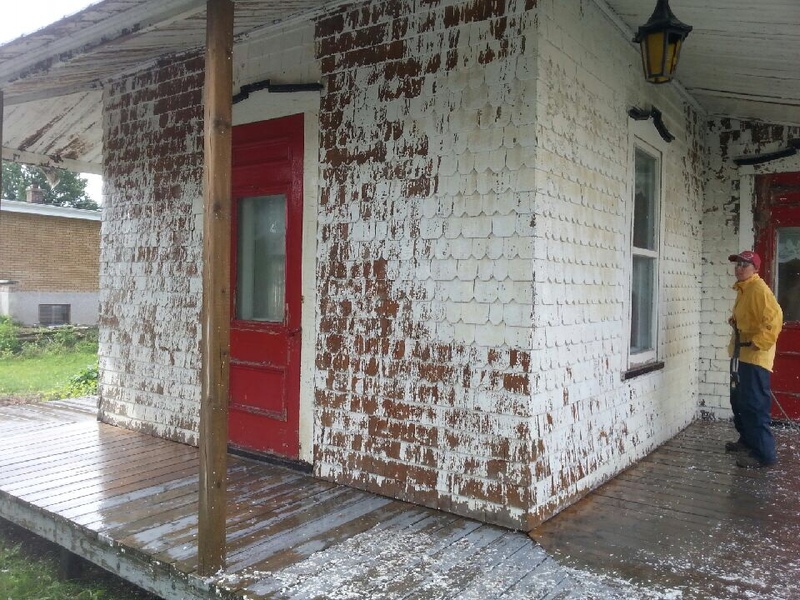 How to perform maintenance of a cedar shingle siding? We recommend to pressure wash it using a chlorine-free cleaner. To repair damaged tiles, make sure you use limestone-dipped nails: if you use galvanized nails, the acid of the wood will eat them, and you will have to start over again after a few months. One the wooden surface cleaned and repaired, we choose to paint using a paint sprayer on which we carefully adjust the pressure to make sure we won’t break the surface. We apply an alkyd primer and a specially conceived exterior paint that will adhere properly on the said alkyd. Different options are available depending on your budget. Which precautions should you take? • Before applying paint or tint on the cedar surface, make a test on a discreet spot to verify the color obtained once it’s dry. • Before using a spray painting gun, make sure you had the appropriate training. Protect your eyes and beware of the wind which could cause some damage to buildings close by. • If you hire a professional painter, ask to see his or her certification. • Always read carefully the instructions indicated on the label of your paint or tint can before starting to use the product. • Avoid painting directly under the sun when its hot and verify the meteorological conditions before starting your project. • Know that the drying time can vary greatly depending on the climatic conditions, especially depending on the ambient air moisture rate. 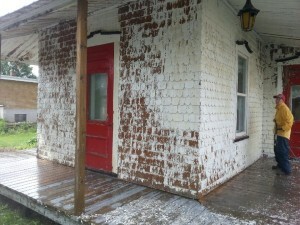 Expert painters from FinDecor have the necessary competencies to paint, install and replace a cedar shingles coating. You would like to take advantage of our experience? Call us now for a free quote: 514-966-0966.